Our mission is to help Ohio, Kentucky and West Virginia businesses increase productivity and get more out of the technology you invest in. Regain Control over your Inbox with our unique Spam Protection solutions. 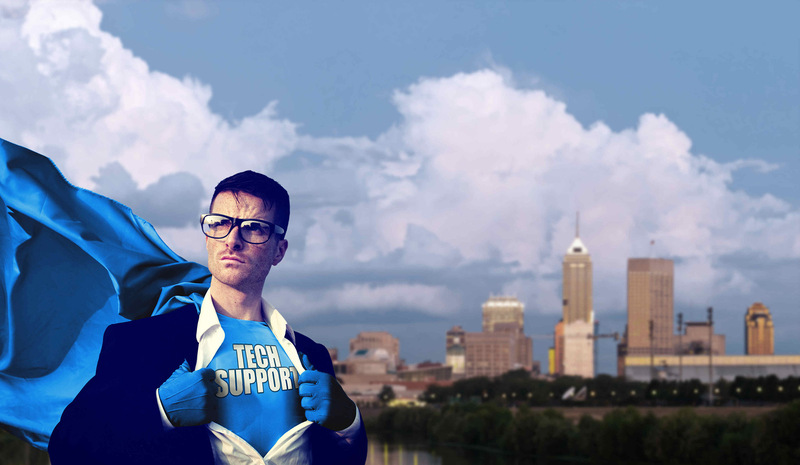 At Patriot Tech Services Inc., we understand business. We consult. We provide solutions to solve everyday challenges. We just happen to fix computers as well. Every year, the average office worker will spend around 2,000 hours at their desk; that’s around a quarter of the year… sitting. With technology being so prevalent in the workplace, around 85 percent of American workers need a screen to do their job, and it causes considerable damage to the body. Sitting down can place users at high risk of muscular-skeletal disorders, diabetes, obesity, cancer, heart disease, and so much more. Working out often isn’t enough to offset the damage done, either; in sectors where long hours are required, users might not even have the time to make it happen. Changing it up every now and then can add several years back to your life. If you can’t avoid sitting all day at your job, then take proactive measures by improving your posture, which can make all the difference in preventing issues like arthritis and bursitis. Sedentary life has its own share of issues that are only further fueled by failing to eat properly. Fast food and high-carb or high-fat diets can lead to obesity and heart disease. Foods high in omega-3s and monounsaturated fats can help lower your cholesterol; examples of these include nuts, fish, and avocados. The best way to avoid putting on extra weight is to be more mindful of what you ingest. For breakfast, you should begin with a meal of yogurt, fruit, or oats, then supplement any cravings with nuts, wholegrain crackers, and more fruit until you get to lunchtime. For lunch, you want foods high in protein and low in carbs, followed by low-carb snacks as needed in the afternoon. Dinnertime can often be a challenge, as some workers don’t get home until late in the evening. Still, avoid eating dinner too late, as it will have a negative impact on your metabolism. The modern office tests the limits of the average worker’s mental health. It’s important for a worker who spends the majority of their life working to feel some semblance of fulfillment from their job. There are those who routinely put in more hours of the daily grind at the office than they do getting a good night’s sleep. According to the Center for Disease Control, one in every three people don’t get enough sleep. The average adult’s ideal night of sleep is at least seven hours for maximum wellbeing and health. Yet, sometimes even a good night’s rest and a proper diet aren’t good enough for those who are under a heavy amount of stress on a daily basis. Stress is known as a silent killer, and it’s one that takes many forms. It can be placed on one by themselves, but it also comes from external factors in the workplace, like demands from clients or coworkers. In some cases, it can even come from machines, like the workstations that we all use on a daily basis, especially when they don’t act properly. Stress is a major problem for employers to deal with, too. A study by Harvard and Stanford in 2016 found that two out of three workers claim to be “always, often, or sometimes” taking part in unhealthy behaviors, like drinking or crying, as a result of the stress they feel from their job. Coupled with about 120,000 workplace deaths linked to workplace stress annually, it’s no surprise that mental health isn’t as high a priority as it should be. Another mental health study performed by Mental Health America found major stressors included money troubles, a lack of recognition, and lack of satisfaction with their jobs. 71 percent of these respondents also indicated that they were actively seeking new job opportunities. Without any change to company culture, this kind of stress could have a devastating effect on an organization and its workforce. For more tips and tricks to make your workplace more enjoyable, subscribe to Patriot Tech Services Inc.’s blog. 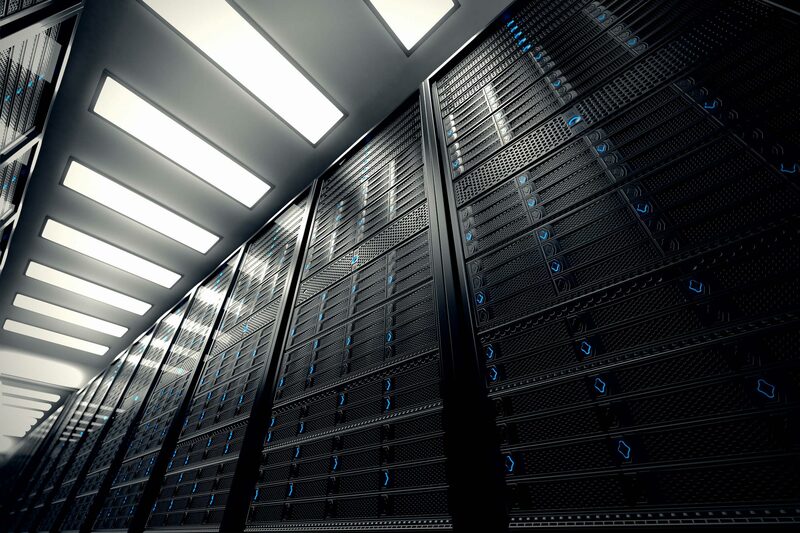 With businesses that are suffering from what are typically expensive operational problems fueling demand for AI-integrated business solutions, the market for these solutions is growing rapidly. The more businesses that understand how beneficial automation is, the higher the demand there is going to be for artificial intelligence. Blockchain has been in the news for the past couple years, typically in the cryptocurrency conversation. Blockchain is a public ledger that’s distributed rather than centralized. Each “block” stores all the digital pieces of relevant information about a transaction. Once the data is captured it can’t be altered. This presents substantial data security benefits. Blockchain is so popular among application developers that Oracle’s head of blockchain development said that half of businesses will be using some type of blockchain tool in the next three years. Wireless broadband access has completely changed the way people use technology. In the 40 years that wireless has been offered the standard has gone from wireless capabilities of 2.5 Kbs to over 100 Mb/s, but in the next couple of years that standard will be dwarfed by the deployment of 5G. 5G Wireless is set to be introduced in 2019, and it should completely change the world. Innovation will speed up and business will move faster than ever. Additionally, new industries will present themselves as technology is developed. In fact, a study by Qualcomm found that once 5G is completely implemented it will become a “general purpose technology” on par with electricity and the automobile. If you polled 100 people, the prevailing sentiment around virtual reality would likely be that it is cool, but as a technology, it is a novelty. Nothing could be further from the truth. With advances in both hardware and software, virtual reality is set to transform the way people see the world. For business use, the applications available from the integration of virtual reality are virtually limitless. With its current novelty status, it is now a popular technology used by companies to market their products. 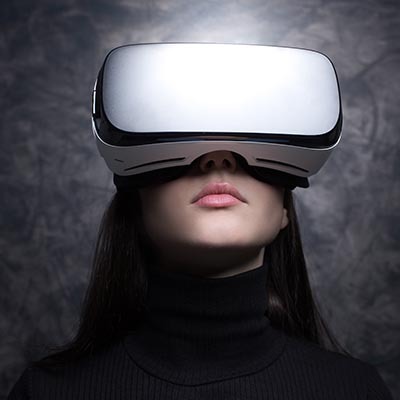 VR offers unprecedented immersion and by creating virtual spaces that allow potential customers to virtually experience the use of products and create a more emotional connection. 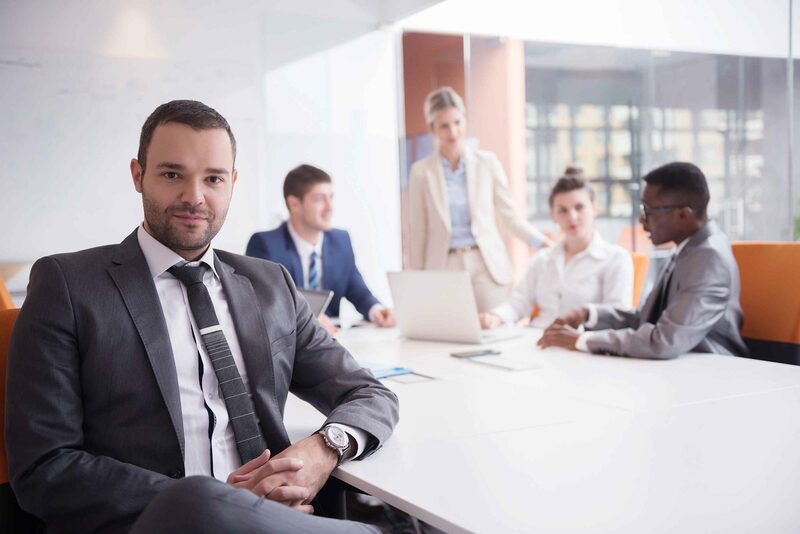 As the technology becomes more prevalent, you will begin to see it used for training, talent management, product design, and shared experience. Emerging technologies play a major part of a forward business strategy, and with the myriad of new technologies just now coming to market, that position will continue. What do you think about these technologies? Would your business utilize them to move your business forward? Leave your thoughts in the comments section below. It’s likely that you’ve already used wireless charging. The Qi wireless platform became the standard for wireless charging, and it has been used in both Apple and Android devices since its inception. It made the jump from 2.5W to 15W delivery. 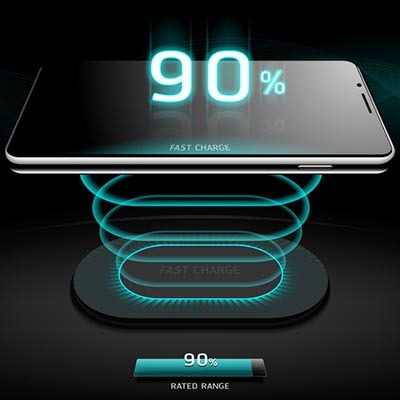 Wireless charging’s convenience has made it a mainstay in certain sectors. It’s a great solution to include near workstations and nightstands, as well as public places like restaurants. There is no evidence suggesting that it has a widespread negative influence on the battery’s lifespan, meaning that there’s no real reason not to have it; this just means that it will get people using their applications and mobile devices more and more. For example, the Wireless Power Consortium--the developers of Qi charging--has been developing large-form-factor charging pads for the kitchen to provide power to appliances. In the realm of businesses, there is an investigation going on into decreasing constraints on wireless charging power. Will Wireless Charging Be Possible at a Distance? Some manufacturers have developed a means to send power over a short distance, so whether or not this technology is possible is yet to be determined--especially with efficiency being taken into consideration. Once the power source and receiving device are far enough apart, the charge being delivered falls in terms of what would be practical to send to the receiving device. In other words, when it reaches its destination, it retains about ten percent of the power source, meaning that charging is, quite simply, not efficient. Resolving this issue is something that is extremely unsafe, as well. True wireless charging achieves about ten percent efficiency compared to the Qi’s near-field rates of 75 percent efficiency, as well as a wired charge’s 85 percent efficiency. It makes it hard to see how such a long-distance charge could be worth it--at least with today’s technology constraints. What are your thoughts on this wireless technology? Let us know in the comments and be sure to subscribe for more think pieces and informational discussions about modern technology.